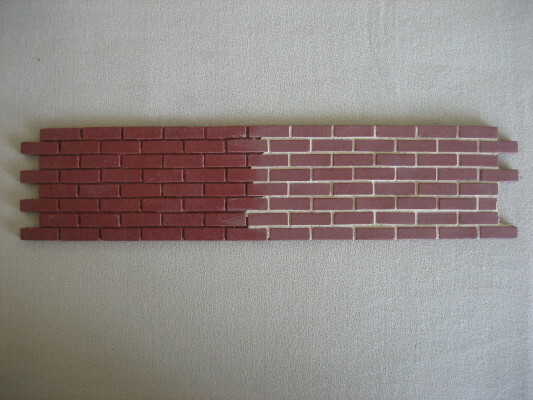 FB/270 Quarry tiles, cardinal red 215/16” x 215/16”, can be painted or varnished. Example of herringbone tiles (FB/309), and border strips (FB/273), shown grouted and with some of the border strips painted. 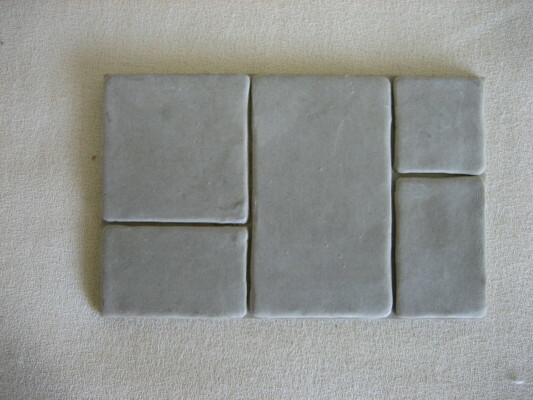 FB/277 Worn flagstones warm stone colour, made from the same material as FB/276. Ideal for kitchens, sculleries, courtyards etc 4" x 21/2". FB/276 Small worn flagstones warm stone colour, interlocking, made from the same material as FB/277, 215/16"L x 215/16"W approx. Note. All of the above can be cut, grouted, painted or varnished. Colours may vary slightly between batches as all of the above are cast to order, please ensure you order sufficient to complete your room, courtyard etc from a single batch. FB/MG Mortar/Grout mix, comprising a pack of easy mix mortar/grout and instructions, available in light grey or buff, please state preference on order. FB/HW Iron on hardwood flooring and wainscoting, the original and still favourite after 20+ years. Iron on to card, trim to size and glue to floor. Easily fitted to odd shaped rooms even after house is complete. Can be stained and polished. Plank size 12"L x 1/2"W x 1/32" thick. 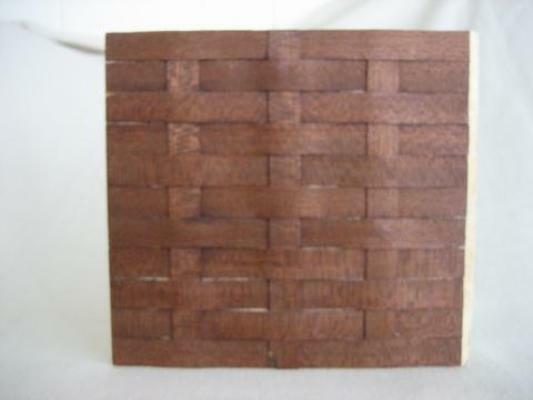 Pack of 24 planks covers approx 144 sq ins (12" x 12"). Includes easy to follow instructions £4.90. These all show uses of our iron on wood flooring pack (FB/HW) as various fence panels. This shows the iron on wood flooring (FB/HW) used as wood panelling with skirting board and chair rail.